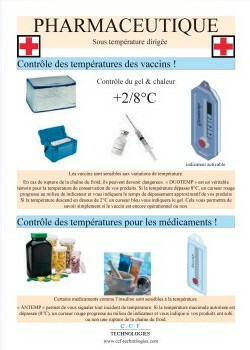 Vaccines Temperature control (+ 2/8 ° C). 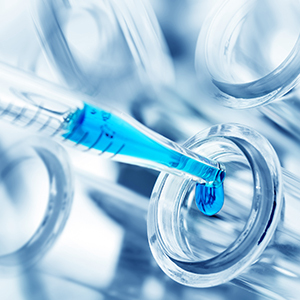 Vaccines are sensitive to variations in temperatue. 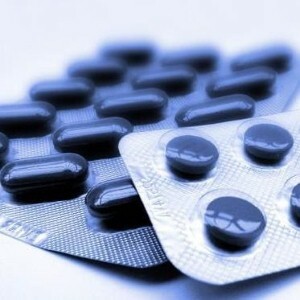 In case of breaking of the cold chain, they can become dangerous. DUOTEMP is a true witness for the product storage temperature. If the temperature exceeds the 8° C, a red cursor progresses in the middle of the indicator and shows the approximate overrun time of your products. If the temperature drops below the 2° C, a blue cursor will indicate the cold. This will allow you to know if the vaccine is still operational or not.